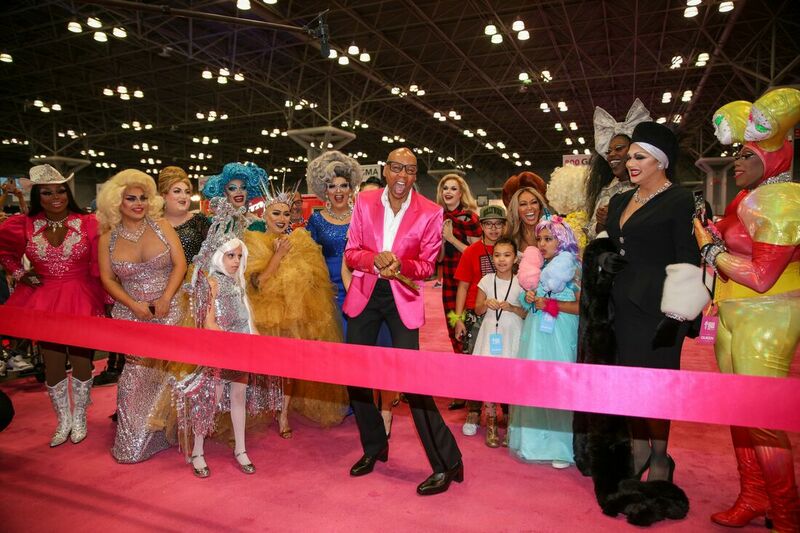 Emmy Award winners RuPaul and World of Wonder (“RuPaul’s Drag Race”) hosted close to 50,000 attendees during the second annual “RuPaul’s DragCon NYC” at the Jacob K. Javits Convention Center in September 2018. The massively popular convention has experienced rapid growth since its Los Angeles debut in 2015 and NYC debut in 2017. 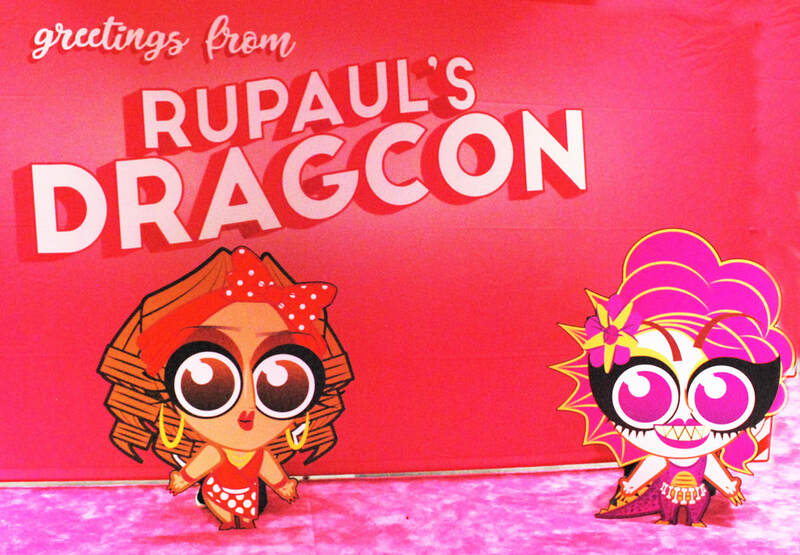 RuPaul’s DragCon is a family-friendly event welcoming attendees - of all ages and backgrounds - to kiki with all of their favorite drag queens and stars in a creative, friendly and accessible environment. We were actually on our way to RuPaul's DragCon, when my daughter who is a huge RuPaul fan, started to get really nervous about meeting one of her fave celebs, so I started talking to her about all the fun things she would see and how the event expanded to three days for the first time in NYC, included curated panels and live runway performances, talent signings, an Instagrammable photo lounge including a balloon re-creation of the Werkroom from “RuPaul’s Drag Race,” 339 exhibitors and 80+ gag-worthy Queen spaces offering attendees the most sickening shopping around. The Kids Zone, an interactive space for kids, made its NYC debut with a space fully dedicated to children with Drag Queen Story Hour, face painting, arts & crafts, a bounce house, a lightsaber demonstration by the Padawan Training Institute, more! For the first time in DragCon herstory, RuPaul hosted a full slate of 1 on 1 programming for attendees to get up close and personal, including RuTalks with Isaac Mizrahi and Charles M. Blow (NY Times) and three What’s the Tee? podcast tapings with Drag Race judge Michelle Visage. After hundreds of fans lined up for hours before their panel, Trixie and Katya announced the return of their massively popular online series "UNHhhh" (124M views), with a new season that will premiere uncensored exclusively on WOW Presents Plus, World of Wonder’s premium subscription service, before `making its way 1 week later to WOW’s YouTube channel (1M+subs), WOW Presents. In the Beyond the Binary panel, panelists discussed how we can make the world more inclusive of non-binary and gender non-conforming people. Actor Nico Tortorella, Alok Vaid Menon, and Drag Race’s Aja sat down to discuss non-binary identity and its impact on the mainstream media and entertainment. In the It Looks Like I’m the Queen: Broadway Stories With the Stars of Frozen on Broadway panel, the stars of the smash hit musical Frozen including Caissie Levy (Elsa), Patti Murin (Anna), Greg Hildreth (Olaf) and John Riddle (Hans) shared video excerpts from the show followed by a magical audience Q&A. In the Too Gay to Function: The Cultural History of Mean Girls panel, the Damians (from the “Mean Girls” movie, broadway show, and real life) united to discuss the cultural significance of the Mean Girls story. Tina Fey joined the “Mean Girls” broadway cast backstage after their “North Shore Winter Talent Show” event at The Runway, posing with Taylor Louderman (“Regina George”) and Grey Henson (“Damian Hubbard”). Swing Left Presents: The Resistance discussed the democratic resurgence of grassroots energy in the form of art, activism, and political rallying. Featuring Speaker of the New York City Council Corey Johnson, Bob The Drag Queen, and others, the group discussed the most important elections of our lifetime – the midterms! Originally published: Connextions Magazine, Issue #18: Shine Up & Out! This June visitors coming to Tel Aviv for Pride Week will be offered more than a celebration. 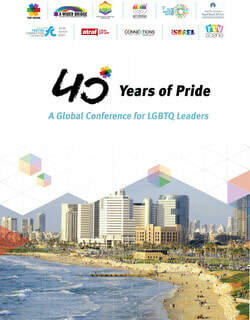 The city will be host to the first ever global LGBTQ leadership conference to be held in Israel, “40 Years of Pride,” presented jointly by A Wider Bridge, a US based pro-Israel LGBTQ organization and The Aguda, Israel’s National LGBT Task Force. The conference, set for June 9 to 11, marks a major milestone: 40 years of LGBTQ pride, progress, and community-building in Israel. The conference participants will represent dozens of nations and communities, with an array of religious and secular practices, people of many races, ethnicities, sexual orientations and gender identities. Conference participants will get to hear from some of the leading voices around the world in the struggle for LGBTQ equality, and to discuss ways that global cooperation can make our communities stronger. A Wider Bridge and The Aguda each see that part of our respective missions is to be an active player in the global LGBTQ struggle for equality. This conference is a vehicle to move that struggle forward in a positive way. To read the entire article click here: Connextions Magazine, Issue #18: Shine Up & Out! The largest and longest running LGBT Expo in the world, founded in 1993, celebrates diversity in business, education, politics, the arts, health, technology, media, travel, and non-profit sectors and of course Connextions Magazine will return as a Proud Sponsor! The Jacob Javits Convention Center in New York City, NY will be transformed on March 12 & 13, 2016. 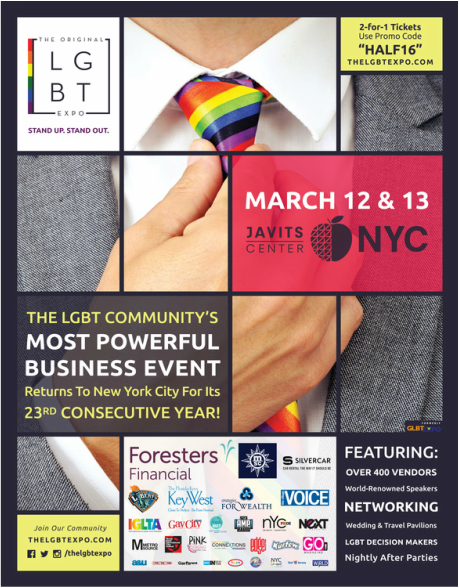 The event features over 300 exhibiting companies, many of which are LGBT owned and operated, an engaging seminar series, live entertainment stage, LGBT Film series and much more! The 100,000+ square foot show floor also spotlights specific areas dedicated to some of the most most popular industries catering to the LGBT community including the Silvercar.com Travel Pavilion, Wedding Pavilion, Small Business Pavilion, Non-Profit Pavilion and the all new Family Pavilion. Created for attendees of all ages and types this is a once a year event that should not be missed. Attendees have the option of two ticket levels, general admission and VIP admission. We like to say, general admission gets you into the event, VIP makes you a part of it! For a full description and breakdown of ticket types, and to purchase tickets, CLICK HERE. Children under the age of 12 are free. Jacob Javits Convention Center, 655 W. 34th Street, New York, NY, 10001. NYC Up And Out ( a division of Connextions Magazine) is giving away tickets to attend this event - click here to enter contest - good luck! Superstar Constantine Maroulis, star of “American Idol” and the Broadway smash “Rock of Ages,” joins the list of incredible performers at the Original LGBT Expo (http://thelgbtexpo.com), the nation’s largest and longest-running LGBT convention, coming to the Jacob Javits Convention Center in New York City, March 12th and 13th, representing BROADWAY SINGS FOR PRIDE. 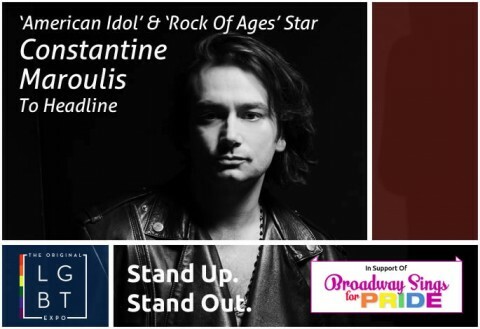 Constantine is appearing on behalf of BROADWAY SINGS FOR PRIDE (http://broadwaysingsforpride.com), an LGBT-Broadway non for profit group which educates the public, raise awareness of the needs of LGBTQ youth, and support these young people so that they may reach their full potential through song. A native of the area, Constantine first rose to rock star status in the fourth season of “American Idol.” After his run on the show ended in 2005, his music career continued to soar with his acclaimed starring role in the Broadway hit, “Rock of Ages,” which also earned him a Tony Award nomination. He has also appeared in musical productions of “Jekyll and Hyde,” “Rent,” “Jesus Christ Superstar,” and “Hedwig and the Angry Inch.” Maroulis, who recently returned to “American Idol” in this, its final season, as a mentor, is headlining the main stage at the LGBT Expo on Sunday, March 13 at 3pm. "I love my LGBT community and our fight for equal human civil rights,” said Maroulis who is appearing in support ofBroadway Sings For Pride. “I am very proud to stand with the LGBT community and support this amazing event." 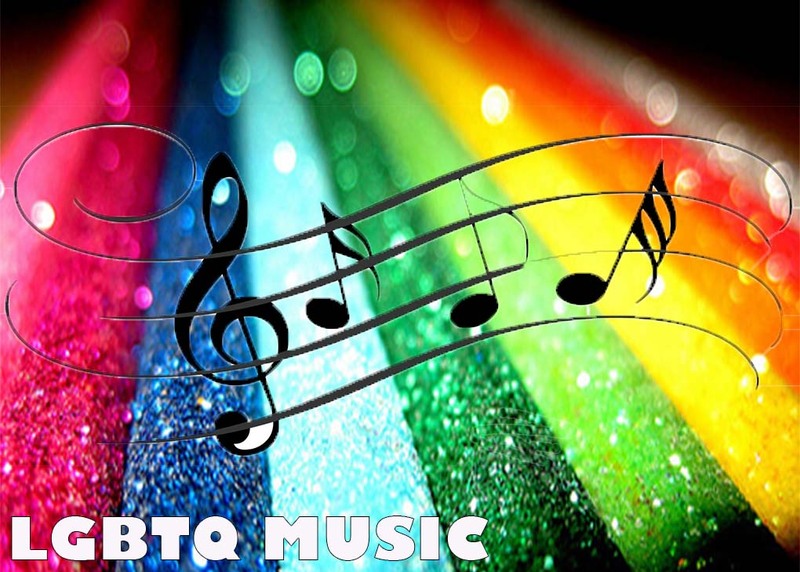 Maroulis is just one of many top performers from Broadway and beyond performing at the 23rd edition for the nation’s longest running LGBT event. The Original LGBT Expo’s entertainment stage is packed with a diverse and incredible list of performers. Joining Constantine on the schedule are top names from music, comedy and more, such as Niki Darling, Lovari, Lady Clover Honey, Paul Hallasy, Aris, Quanna, The Mighty JSE, T-Boy, Bebe Sweetbriar, Devonde, Ron B., Carmela Cann, Aaron Paul, Destiny Devine, and many others. All of these great acts are included free in every admission for all to enjoy. 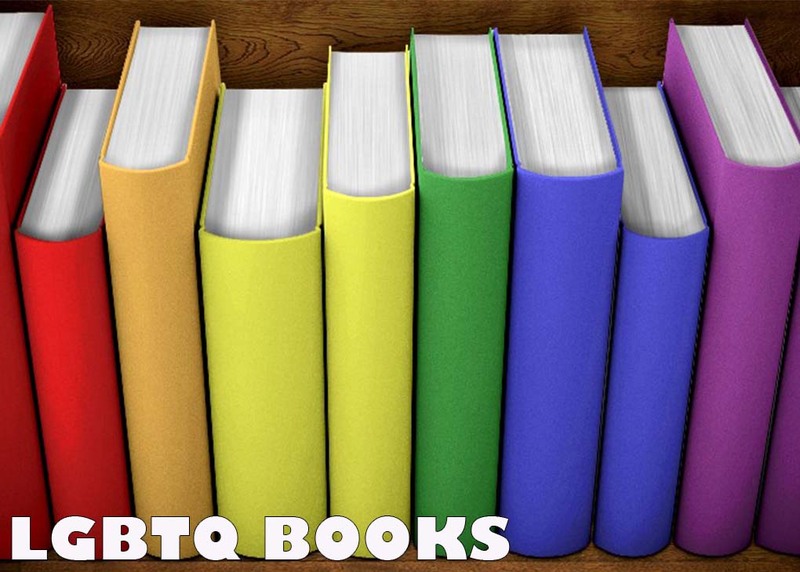 A full schedule can be found at http://thelgbtexpo.com/schedule. Making HERstory - RuPaul's DragCon Returns! Following the massive success of the first drag convention in HERstory, RuPaul’s DragCon returns to Los Angeles Convention Center on May 7 & 8, 2016. Tens of thousands are expected to attend this glitter-filled weekend that celebrates the art of drag and self-expression for all. To accommodate the growing demand, floor space at DragCon will be tripled as compared to last May’s inaugural event. Spearheaded by RuPaul and World of Wonder Productions, RuPaul’s DragCon provides a platform for fans – of all ages and backgrounds – to meet and interact with world-renowned celebrities and icons in a friendly and accessible environment. The convention will feature over 100 vendors and exhibitors, panel discussions, screenings, autographs, and photo opportunities. Plus, attendees can shop ‘til they drop on a floor full of unique and custom shoes, apparel, art and many other fabulous products. In addition to booths on the convention floor, there will be a wide range of programming, including, Q&A sessions with drag stars and icons, lip sync contests, drag herstory discussion groups, and fashion, make-up and styling work shops, for men and women. “The biggest surprise from last year’s DragCon was how much of a family event it is. Whether your family is San Francisco’s legendary drag group, Sisters of Perpetual Indulgence, or you’re a tween girl superfan visiting with your Mom & Dad, there’s something for everybody at RuPaul’s DragCon,” said World of Wonder co-founder, Randy Barbato. Tickets are currently on sale at RuPaulsDragCon.com starting at $50. VIP Experience tickets are also on sale. Fans can purchase photos and autographs at the show. For more info follow DragCon @RuPaulsDragCon, or Facebook. About RuPaulRuPaul skyrocketed to international fame with the release of the album Supermodel of the World, which was followed by roles in over 50 films and television sitcoms, the host of The RuPaul Show (VH1), morning drive radio on WKTU & WNEW and currently hosts the podcast What’s the Tee? With Michelle Visage. RuPaul has been a spokesperson for WebEx, Rockport and was awarded a seven-year contract as the “first face of M.A.C. Cosmetics.” Wax portraits of RuPaul are displayed at Madame Tussauds in both NYC and San Francisco. RuPaul is the author of the autobiography Lettin' It All Hang Out and Workin' It. Released in 2014, “Born Naked" is RuPaul’s 10th and highest charting studio album to date. RuPaul is returning as a judge for the second season of the hit GSN series, Skin Wars. RuPaul is Executive Producer and Host of the global phenomenon "RuPaul's Drag Race" on Logo, entering its eighth hit season. Once again, Connextions Magazine is a proud sponsor of the LGBT Expo, as we have been since our inception in 2010. This year we will also be hosting an EXPERT TRAVEL – A ROUNDTABLE DISCUSSION on Saturday, March 12 at 3:15pm. Connextions Magazine's Editor In Chief, Manny Velasquez-Paredes, will be the moderator for this discussion between Denise Reichwein Lees of MSC Cruises, I Love New York, one of our gay travel experts, David Perry and our travel-lite (budget travel) expert, Ross Christianson, among others. Be sure to visit our Connextions Magazine booth for a chance to win some awesome prizes and vacations. Join us for an afternoon of fun, friends and some Badass BBQ all for a good cause! There is no admission fee - FREE EVENT - but bring cash for food, drinks, shopping & raffles! Shelly (Connextions Magazine Editor Emeritus) and Lucia (Shelly's Life Partner) are raising funds to walk in the Susan G. Komen 3-Day event in Philadelphia. It is a 60 mile walk over a 3 day period. If you are interested to learn more of Shelly's breast cancer story, you can visit her Facebook page A Tale of 2 Boobies. We have a face painter for the kids. There is a beautiful playground at this park. CAN YOU BAKE? If you would like, feel free to bring a dish for our baked goods sale table. BYOB. Please be responsible and feel free to leave your empty bottles and cans in our designated drop and we will return them for you. No glass allowed. 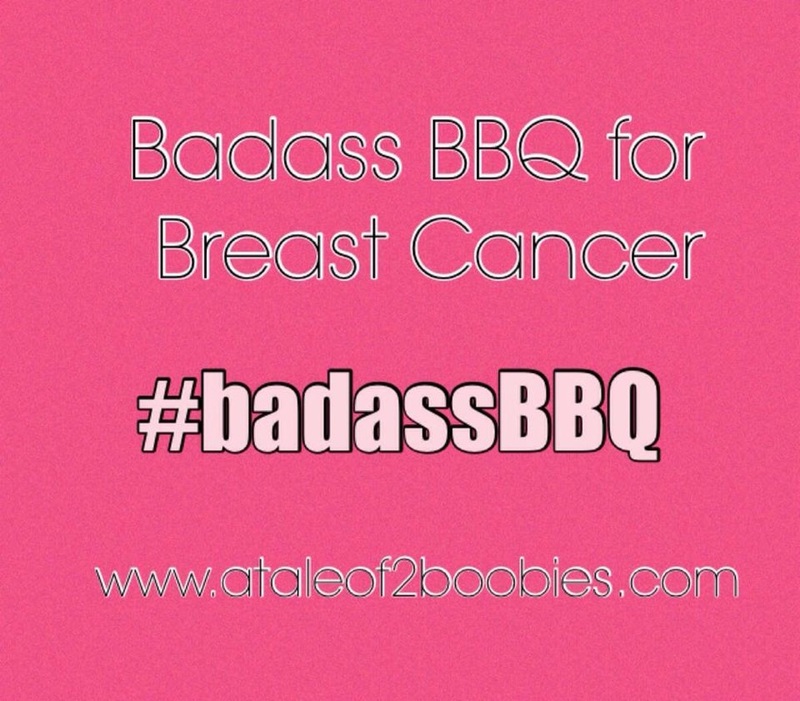 The event would not be possible if not for my awesome friends over at Badbulldogbbq(Also breast cancer survivors)! You can get a taste of their kickass BBQ during the event! As the event gets closer, we will add more details but for now, we thank you for your interest in our event and kindly ask you to share and invite your friends to join the fun! The Amsterdam Gay Pride festival is a spectacular party, which at the same time constitutes a powerful plea for the emancipation of the gay, lesbian, bisexual, transgender and intersex communities. Together with its partners, the Amsterdam Gay Pride Foundation organises and facilitates a nine-day festival offering a range of events from debate, art and theater to film, parties and sports. The theme for 2015 is “Share”. To share is to multiply: shared joy is twice the joy and that is true for love too. Sharing does not just mean receiving: it also means accepting and giving. Under the motto “share love, love differences”, the organisation is inviting everyone to tell their story and share it with the world by using innovative technology: streaming video. Pridestream.org will live-stream the entire Canal Pride experience by placing a 360-degree camera atop a boat, with virtual passengers aboard the boat, as it makes its way through the canals, it will stream both image and sound, so you can feel just like you are on the boat in person right there, you will get to hear the music on the boat and the cheering of the people along the canals. You can look all around you and live the experience as part of the Boat Parade from any device. In addition to the camera, the boat is equipped with LED screens showing videos of people all over the world who are letting everyone know that they are also a part of the celebrations from afar. For those living in countries in which Gay Pride is not accepted and celebrated, the website offers a number of privacy tools that enable people there to join the Parade safely and anonymously on August 1st. The totally free Pridestream can be followed via pridestream.org Everyone is welcome on the Pridestream boat. There is room for everyone on the Pridestream. On pridestream.org people can record a video to show their Pride on the boat and share the initiative. On 1 August, we are inviting the whole world to get on board with the Pridestream. In the Netherlands, the Boat Parade has been an annual highlight on the event calendar for twenty years, with hundreds of thousands of people gathering in a celebration of freedom. Everyone should get the opportunity to experience that sense of freedom, no matter where in the world they are – especially those for whom it is impossible or do not have the liberty to celebrate diversity in their own country. That is why the Amsterdam Gay Pride, KPN and a group of creative agencies have all joined forces this year. Experience the freedom of being your true self. Join the Amsterdam Canal Parade in a live full 360° view. 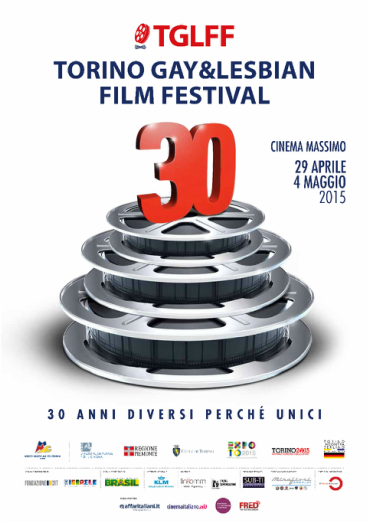 The Torino Gay & Lesbian Film Festival (TGLFF) turns 30 this year - felice anniversario! Giovanni Minerba has directed all the 30 Festivals which played an increasingly important role in both Italian and the international cinema. Social, political and economic changes marked the last three decades and the TGLFF every year has been able to read and interpret these changes creating a high-profile cultural moment for everybody and not only for people devoted to the issue. The Torino Gay & Lesbian Film Festival, run since 2005 by the National Film Museum of Torino, takes place with the sponsorship of Mibac – General Directorates in charge of cinematography, of Regione Piemonte and of Comune di Torino, and is part of the schedule of official events of EXPO TO 2015, of Torino, European Capital of Sport 2015 and of Torino Meets Berlino. The actress Carolina Crescentini, who starred in the last film by Taviani brothers, is the opening night Patroness, which begins on April 29, at 9 pm. Irene Grandi is the special musical guest of the event which will end with the screening of 54: The director's cut by Mark Christopher (USA, 2015). During the closing night (May 4, at 9 pm) the winners will be awarded and Zibba, one of the most interesting among the new Italian songwriters, will be the musical guest. All the closing night will be a mix of rock, jazz, up-beat rhythms, and songwriter’s poetic songs. Six Dance Lessons in Six Weeks by Arthur Allan Seidelman (Hungary, 2014) will be screened at the event. With this film the wonderful, eighty-five-year-old Gena Rowlands gets back on-screen. The TGLFF is one of the most prestigious international film exhibitions for the LGBT community. 30 Festivals, 115 film shows scheduled of which 49 are Italian previews, 5 European previews, 3 International previews, and 9 world premieres. The films presented come from over 30 countries: from the US to France, from Mexico to Philippines, from Senegal to South Africa. Four prizes will be awarded. The Ottavio Mai Award, identified by a panel of three experts composed by the actor Lorenzo Balducci, Yair Hochner – the director of the Tel Aviv International LGBT Film Festival - and the philanthropist Beatrice Merz – the president of International Award Mario Merz. One of the 30 feature films of the Festival will be awarded with the Audience Award. Then the Queer Award and the Best Short Award, with two panels composed by the students by the DAMS of the University of Turin and the Academy of Fine Arts of Turin. The director Sebastiano Riso will lead the young jury for the Queer Award, while the Anglo-French director Antony Hickling will supervise the jury for the Best Short Award. The subjects of the films, both the competing ones and not, will touch from the great ethical, social and civil subjects to the analysis of the relationships in families and individuals. Among the non-competing films Boulevard by Dito Montiel (USA, 2014) stands out, it is the international preview of one of the latest film Robin Williams starred in before his death, last August. On the occasion of the Torino, European Capital of Sports 2015, the Festival focuses on sports. 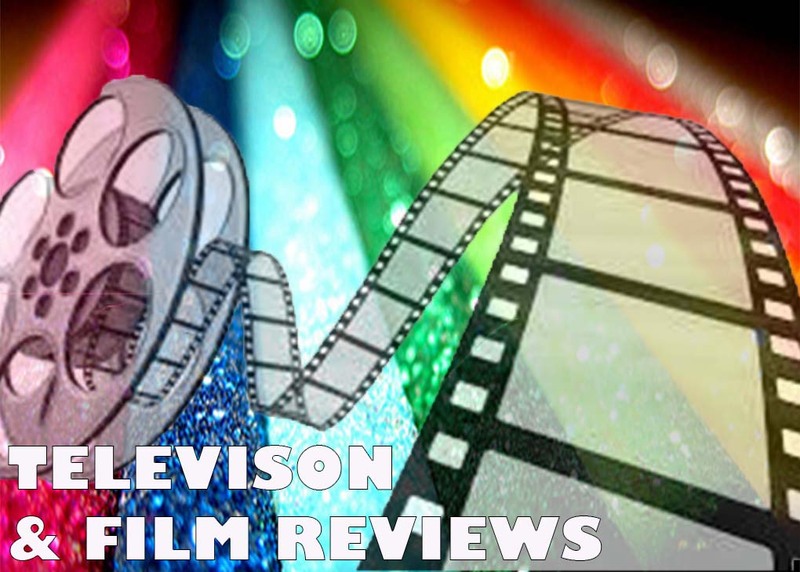 The films on this subject are: Drown by Dean Francis (Australia, 2014), about a gay surf champion victim of homophobic bullying; Fuori by Chiara Tarfano and Ilaria Luperini (Italia, 2015), with the hockey player from Turin Nicole Bonamino, 24 years old, as main character; she came out of the closet on the occasion of the Sochi 2014 Winter Olympics and will attend the TGLFF. In the official schedule of the Torino Meets Berlino 2015 there are two films: Praia do Futuro (Brazil, Germany, 2013) and the cult film Different from the Others (Germany, 1919) in the restored version by the Munich film Museum. Eat With Me (USA, 2014), first work of the director David Au, is the film dedicated by the TGLFF to EXPO TO 2015. It is the story of Emma: because of a crisis with her husband she moves at her son’s Elliot, a chef that she soon finds out to be gay; a witty comedy about the Sino-American community with, as the cherry on top, a cameo of George Takei, the legendary actor from Star Trek. Also on the schedule is Dólares de Arena (Sand Dollars) by Israel Cárdenas and Laura Amelia Guzmán (Dominican Republic/Argentina/Mexico, 2014), with the masterful performance of Geraldine Chaplin. According to the Torino Gay & Lesbian Film Festival, education is a right for everybody. Following this principle every year the schedule is organized in order to reach a wider public as heterogenic as possible. Against the belief that the LGBT world and children are two distant, incompatibles worlds, the TGLFF, in collaboration with the magazine Giovani Genitori and the Italian Rainbow Families Association, hosts for the second year in a row the initiative of the National Cinema Museum addressed to all the families with children: Cinema con bebè. On the morning of Sunday, May 3 the animated film by Rob Minkoff, Mr. Peabody & Sherman will be screened with a special formula, specially fitting for children and their parents: reduced volume, low lighting, changing tables, snacks, bottle warmers and stroller parking. Join Connextions Magazine, the Travel & Lifestyle Magazine for Lesbian, Gay, Bisexual, Transgender Travelers, on the Third Annual New York Travel Festival, featuring workshops, panel discussions and presentations focusing on hot-button and trending travel topics. The two-day festival takes place on April 18 and April 19, from 10 a.m. to 6 p.m. in Manhattan, NY. This event is created for Industry professionals and savvy travelers who may want to enter the travel industry, to gather and share wisdom about a host of community-prompted subjects from tourism targeting people of color, people with disabilities, and the LGBT market, to issues surrounding ethical, sustainable and local/regional travel. There will also be expert-led sessions and consultations about taking a sabbatical or pursuing a career in the travel industry and demos of the latest virtual-reality technology and experience. 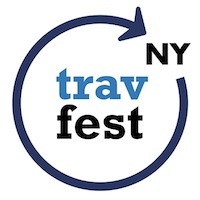 Travel 2.0 @#NYTF: A chance to learn about the latest travel startups and new travel businesses. Experts’ Corner: One-on-one pre-scheduled meetings with experts from the world of travel. EXPLORATION AND EVOLUTION Sunday, April 19 – Hostelling International (891 Amsterdam Avenue, New York, NY) Day 2 brings together lifelong travelers and people in career transitions to learn more about how to keep travel as an integral part of their lives. Inspiring Speakers: Stories from folks who travel in ways you’ve never thought of, to places you never knew you wanted to go. Pathfinder Consults: One-on-one meetings with representatives from a variety of companies, for people looking for a career change into or within travel. LGBT travel is one of the fastest-growing and most buoyant niches in the travel industry today. But success hasn’t come by accident. In this fast-paced session, we’ll address some of the most successful marketing and communication tactics that destinations and suppliers have used to reach LGBT travelers, and how these strategies can work for other niches too. • What has made LGBT travel marketing strategies successful? • How can these tactics work for other niches in the travel industry? • What tactics won’t work, or need to be adjusted for different audiences? • Is it possible to group a bunch of niches together in a marketing plan and have success? • How is niche travel marketing evolving? • What are the hottest new ways that niche marketing is affecting travel? @MunderaMedia | Mark Chesnut is the founder/editor of LatinFlyer.com, which focuses on travel in Latin America. Chesnut also writes and manages custom content for travel industry clients including the Costa Rica Tourism Board, Turismo Chile, U.S. Travel Association, and the World Travel & Tourism Council. @edsalvato | Ed Salvato is co-founder and editor in chief of ManAboutWorld, an immersive tablet-based digital publication on iPads and Android tablets. Salvato has spent the last 15 years in the world of LGBT travel and tourism and has visited hundreds of hotels, over 75 countries and six continents. Click here for a FREE three-month subscription to the magazine and see why it's the number-one gay travel magazine in the App Store. @mattskal | Matt Skallerud, president of Pink Banana Media, specializes in LGBT online marketing, targeting gays and lesbians via content marketing, social media, programmatic ad banners, mobile smartphone apps and more. He also specializes in search engine optimization (SEO), keyword / search advertising (PPC) and social media analytics. He empowers his clients to reach the LGBT market using the most advanced techniques taking hold in the online marketing world today. And what an amazing experience this will be! For the 5th year in a row Connextions Magazine, The Travel & Lifestyle Magazine for the LGBT Traveler since 2010, will sponsor the LGBT Expo. MVP, Editor of Connextions Magazine says, "This year, just like the LGBT Expo, we are returning with new experiences for our booth." For starters, we will be showcasing our latest issue titled: Love Around the World. On Sunday afternoon (2:30 - 3:15), Connextions Magazine will present a seminar titled: Travel Like an Expert: From Extreme Adventures to Family Getaways. Lastly, we have partnered with several brands, hotels and resorts to giveaway lots of raffle prizes. Autographed copies of LEAVING MONTANA, author Thomas Whaley. (Read our review). Author Thomas Whaley will be at the Connextions Magazine booth on Sunday signing copies of LEAVING MONTANA. 1 Night stay in a Deluxe Harbor View Room courtesy of The Delamar Hotels. 2 Nights stay courtesy of the Fort Lauderdale Marriott Pompano Beach Resort & Spa in Florida. 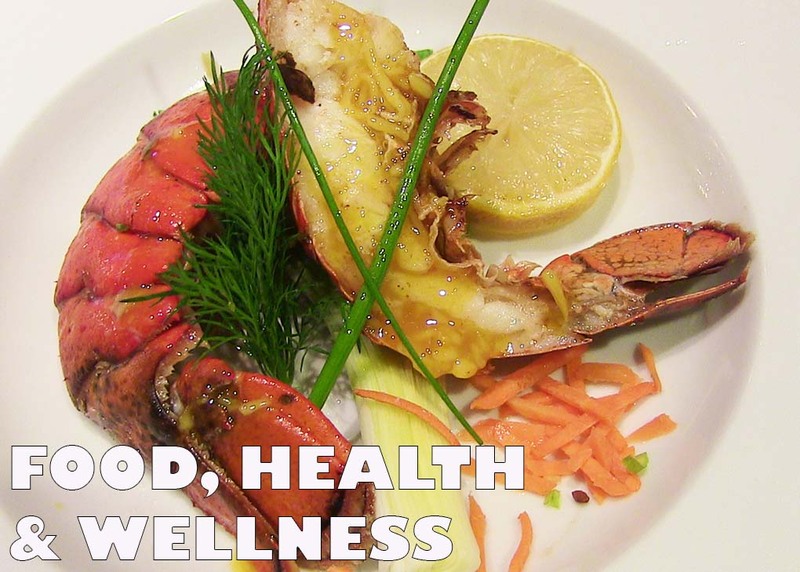 2 Nights stay and daily breakfast courtesy of the Sea Crest Beach Hotel in Massachusetts. 2 Nights stay and daily breakfast courtesy of The Whiteface Lodge in Lake Placid, NY. 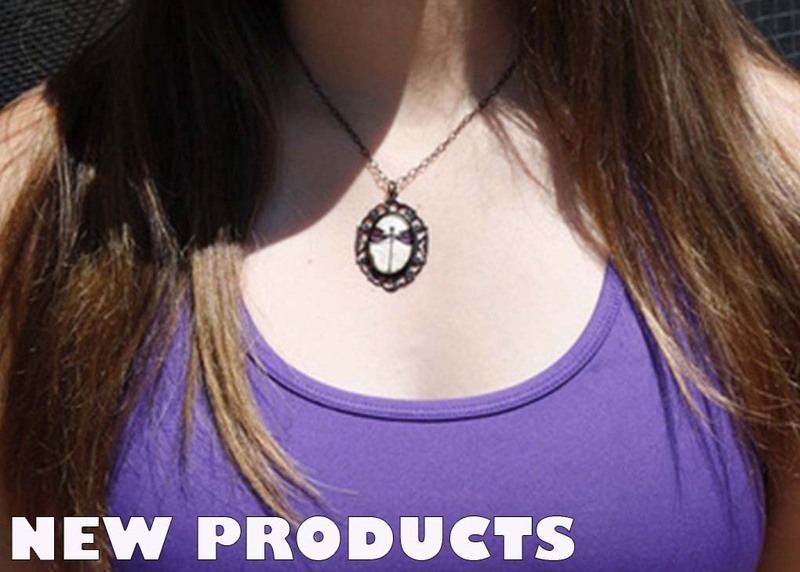 So make sure to visit our Connextions Magazine booth this weekend for a chance to win! The LGBT Expo is from 12 pm - 6 pm on Saturday, February 28 and March 1, convention goers attending the event will be treated to 100,000 square feet and over 300 participating companies and exhibitors, including long-time and first-time sponsors of the event such as Delta Airlines, MetLife, Pella Windows, Uber, Key West, ZIRH, .LGBT and the Village Voice. The show also features over 40 musical and dance acts on the entertainment stage, 10 hours of engaging seminars and a full schedule of screenings and Q&A session in a video lounge. Brand new to this year’s event is a VIP ticket option. VIP ticket holders will receive an LGBT Expo tee shirt, shoulder bag, various free and discount products and services from the events exhibitors and sponsors, as well as free entry into any of the nightly VIP after parties. The Official LGBT Expo After Parties will be taking place all weekend long in the city that never sleeps at hotspots like XL Nightclub and the Phoenix Bar. This year we’re introducing The LGBT Expo Mobile Scavenger Hunt. The hunt, which is 100% free, leads you through the twists and turns of the LGBT Expo exhibit floor to take photos, check in, answer trivia and scan QR codes, all while getting points for each task completed. The highest scorer overall will receive $500 in cold hard cash, while other runners-up will receive free VIP tickets to next year’s event. To participate, download the Scavity app (https://www.scavify.com). When you get to the Javits Center the day of the event, search for the “LGBT Expo” and join the hunt. From there, complete as many tasks as you can to win. The stage will also feature a very special Lifetime Achivement Award presentation to writer Michael Musto presented by Briah, Bruno and Nicole of this season’s “Real World: Skeletons.” To see a full list and schedule of events visit: http://thelgbtexpo.com/schedule. The Engayged Wedding Expo, sponsored by EnGAYgedWeddings, is a melting pot of all the latest and greatest products and services catering to the LGBT wedding industry. From choosing the right person to officiate your nuptials, to the photographer, florist and venue, the LGBT Wedding Expo is your one-stop-shop to help you plan your perfect day. It will also feature a wedding on Saturday. Also returning this year is the Passport Magazine Travel Expo. Browse from dozens of travel vendors showcasing the best products, services, and destinations from around the globe. Participating vendors include: Florida Keys, Visit St. Petersburg, Aeromexico, Cambria Hotel & Suites, St. Pet, I LOVE NY, Mohegan Sun, Puerto Rico Tourism Company, Vermont Gay Tourism and dozens more. Life Out Loud Events is pleased to continue the tradition of giving back to the LGBT Community by donating over $100,000 worth of exhibit space, in the Non-Profit Pavilion and complimentary tickets to various organizations and volunteers. Exhibitors within the pavilion include Cheer New York, Gay Officers Action League, Gay Mens Health Crisis, Independent Adoption Center of NY, MCCNY Charities, Inc., Live Love Dance, New York City Anti-Violence Project, New York City Fire Department, SAGE, Sirens Woman’s Motorcycle Club of New York City, and the Visiting Nurse Service Of New York. Another not for profit, the LGBT Youth Organization, Our Youth, will be hosting the official LGBT Expo after party on Sunday. All of this info, schedules and much more is now available on the Expo’s official website. Tickets are now available for both days of the Original LGBT Expo.